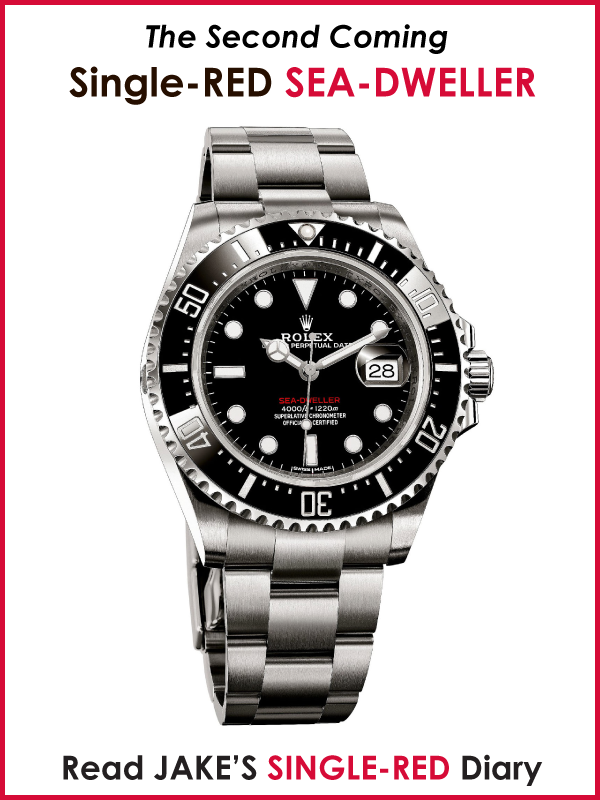 50 Amazing Years Of Wearing Rolex!!! 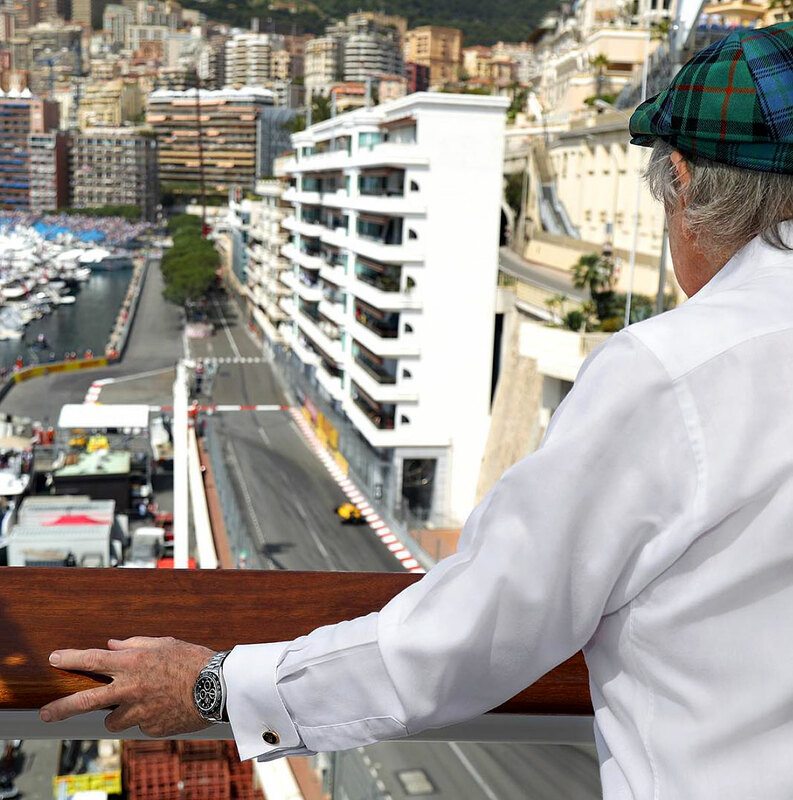 Sir Jackie Stewart returned, this last weekend to Monaco to celebrate the 50th Anniversary of his first Grand Prix win, and in this first set of images we see him sporting the all-new stainless steel Rolex Daytona with the black dial and matching black Monobloc Cerachrom bezel in Ceramic with engraved Tachymetric Scale. 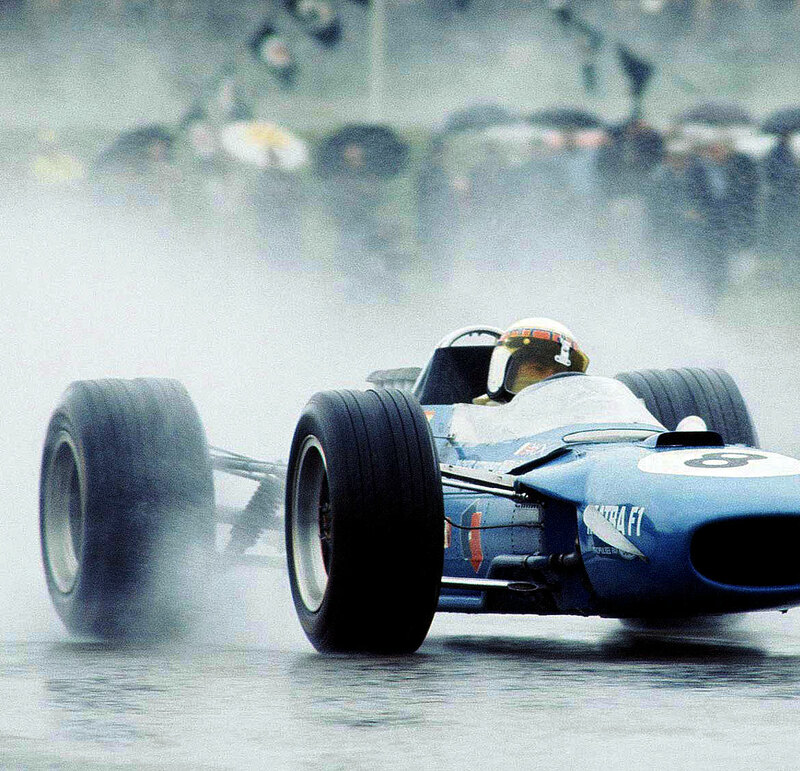 "ONE OF THE MOST CELEBRATED DRIVERS OF THE LAST 50 YEARS. 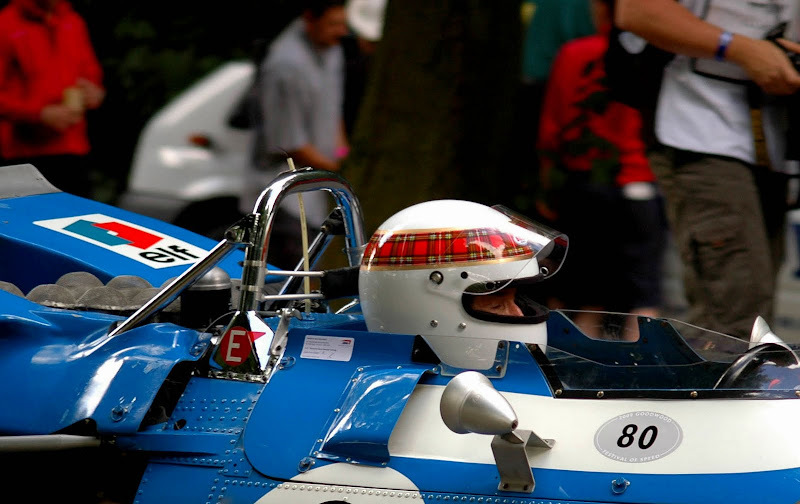 Born in Scotland in 1939, Sir Jackie Stewart is undoubtedly an emblematic figure in contemporary motor racing. 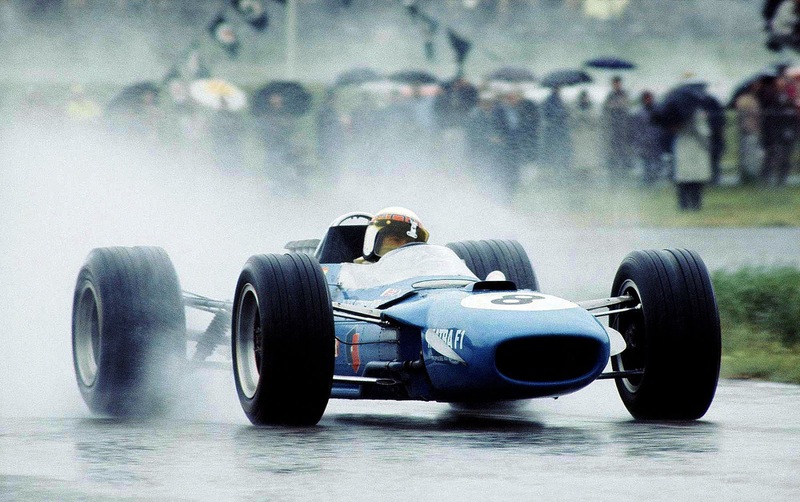 His achievements make him one of the most celebrated Formula 1 drivers of the last 50 years. 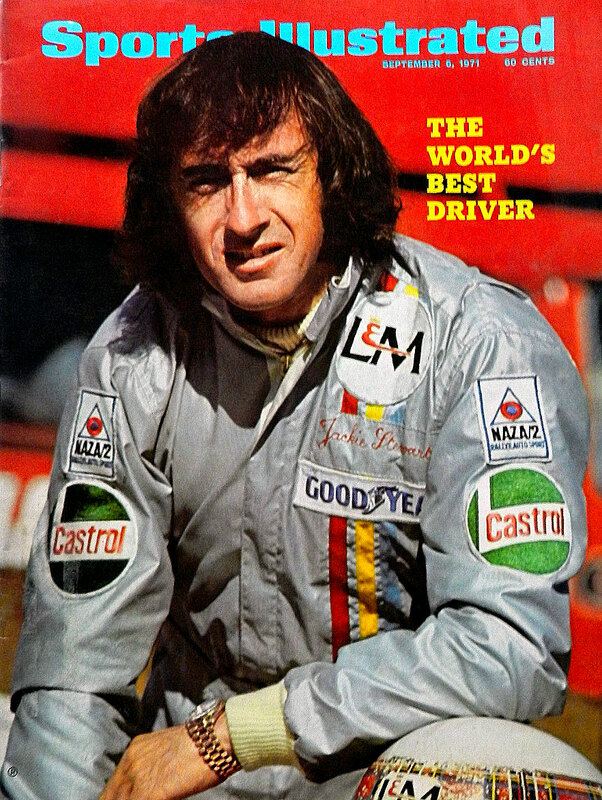 His commitment to driver safety has revolutionized the face of motor sport. He has also gone on to achieve one of the greatest reputations as a sportsman in the media world. 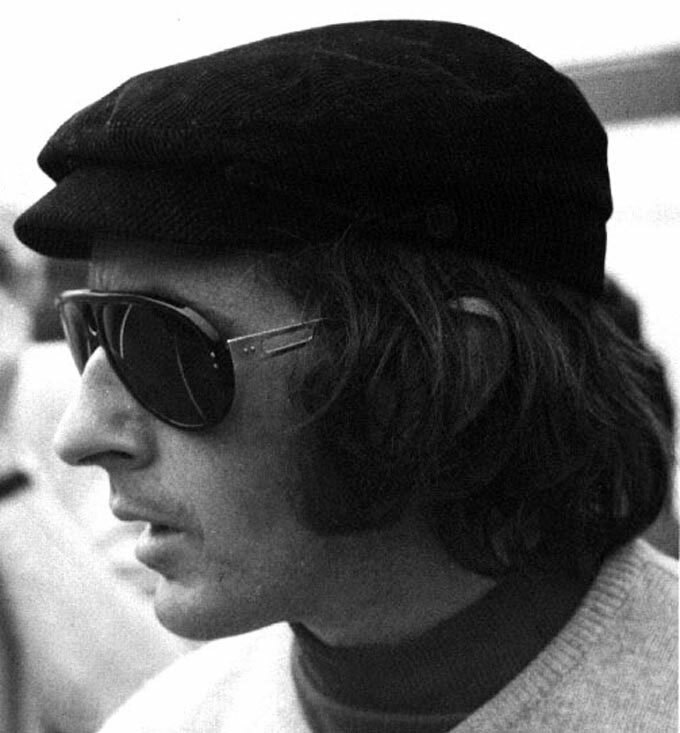 Sir Jackie Stewart took part in 99 Formula 1 Grand Prix races, winning 27, carrying off three world championships (1969, 1971 and 1973) and finishing 43 times on the podium. 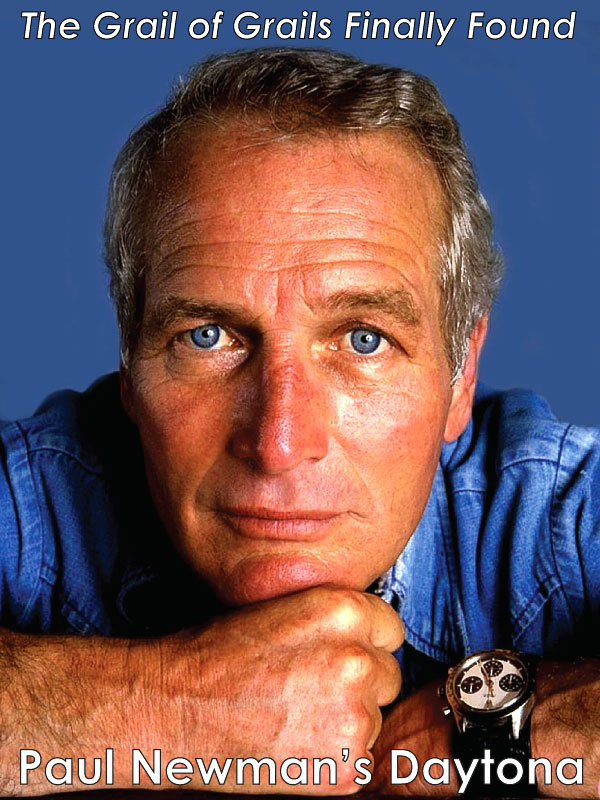 He has been a Rolex Testimonee since 1968. In tribute to his exceptional career, in 2012 he was designated Grand Marshal of the 50th anniversary edition of the Rolex 24 At Daytona." "1966-2016 50th Anniversary 1st F1 Win Monaco GP." 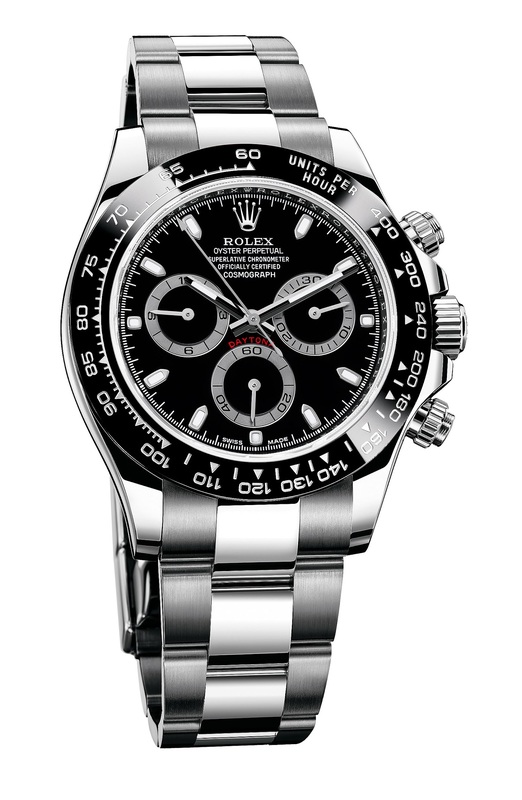 If you are not familiar with the all-new stainless steel Rolex Daytona (pictured below), Rolex recently introduced it at BaselWorld 2016 trade show, to amazing fanfare. Last week, I published a fascinating story about John Mayer and Benjamin Clymer from Hodinkee talking about this amazing new Rolex Cosmograph Daytona. 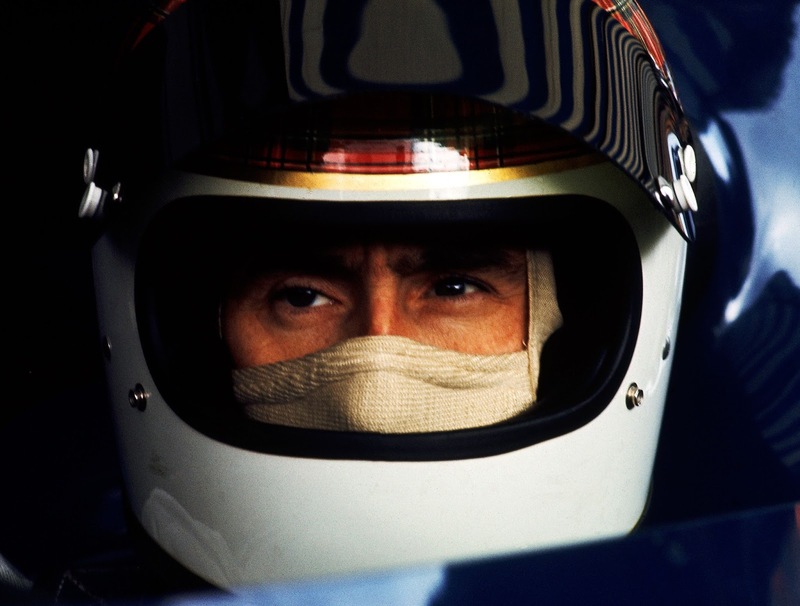 So let's take a much closer look at Sir Jackie Stewart's amazing career as a former Scottish race-car driving legend and current Rolex brand Ambassador. He began his Formula 1 career in 1965 and raced until 1973, having won three World Drivers Championships. 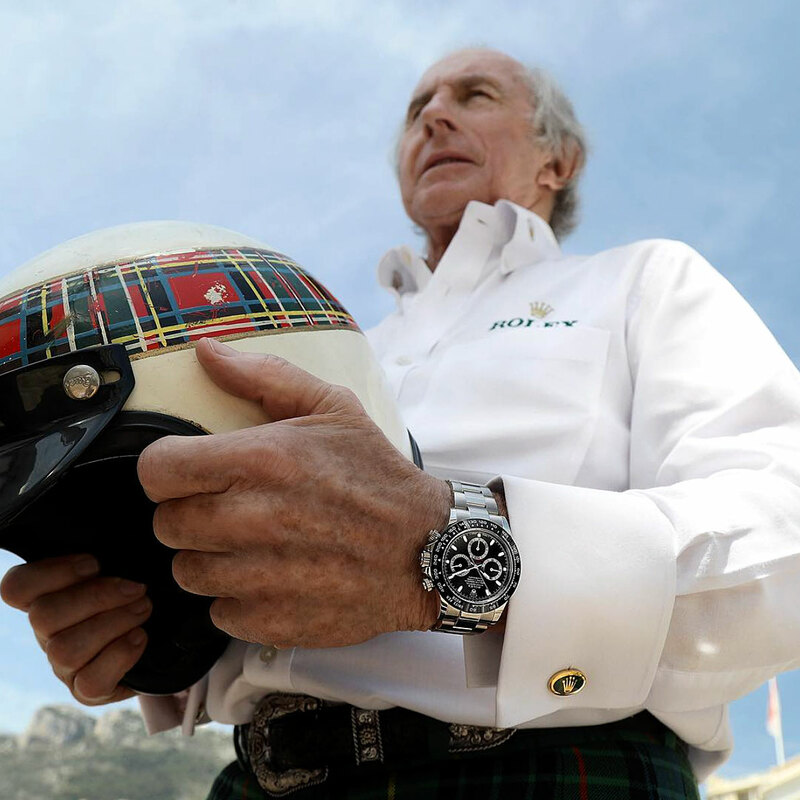 Jackie Stewart has been wearing a Rolex on his wrist for 50 years, having purchased his first Rolex Day-Date after having raced in the Indianapolis 500 in 1966. 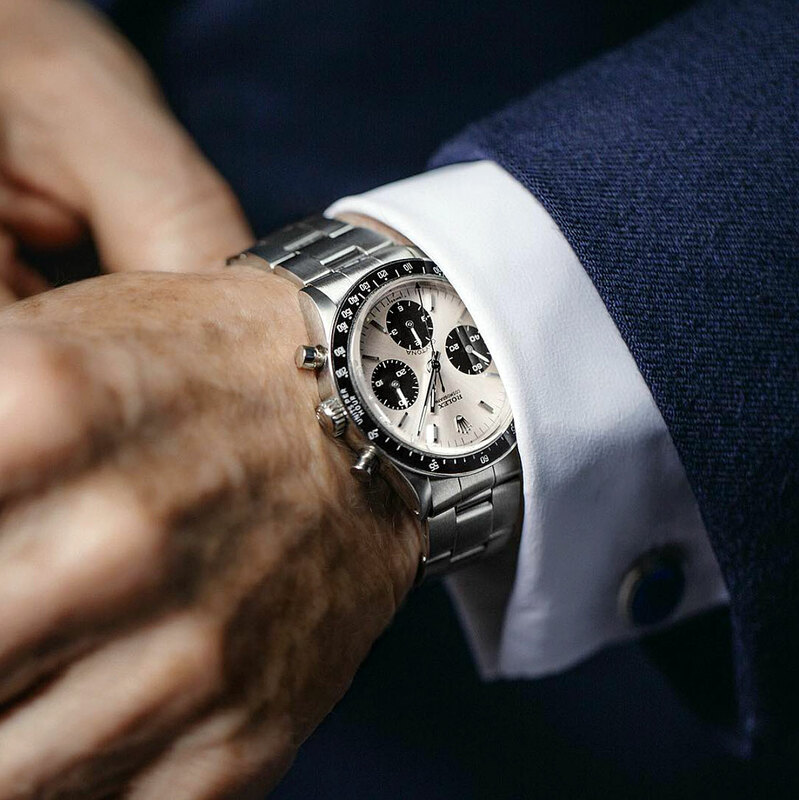 Purchasing his first Rolex was a long standing dream for him, and soon after, then Rolex CEO André Heiniger appointed him as a Rolex Brand Ambassador, along with golf legend, Arnold Palmer and Olympic skiing legend, Jean-Claud Killy. 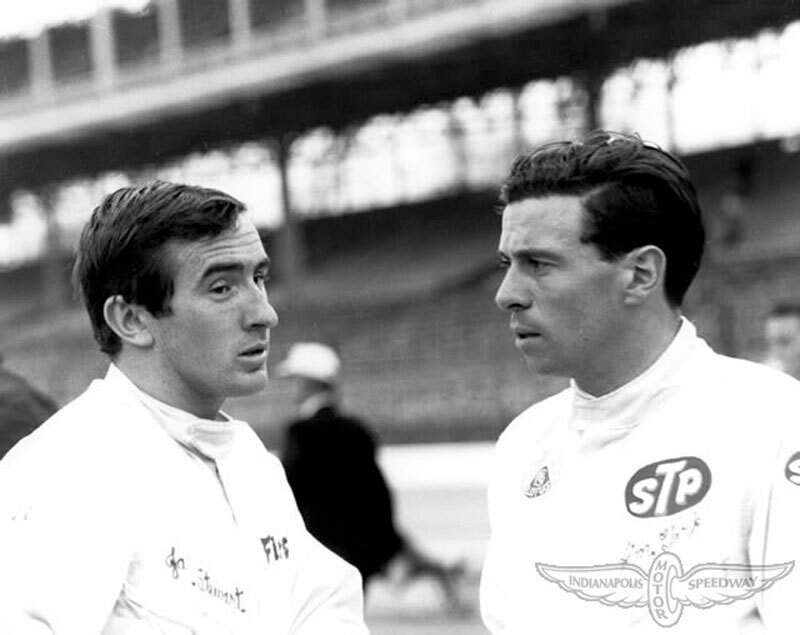 Jackie Stewart is pictured below with fellow racer Graham Hill during the Belgian Grand Prix weekend on June 12, 1966. 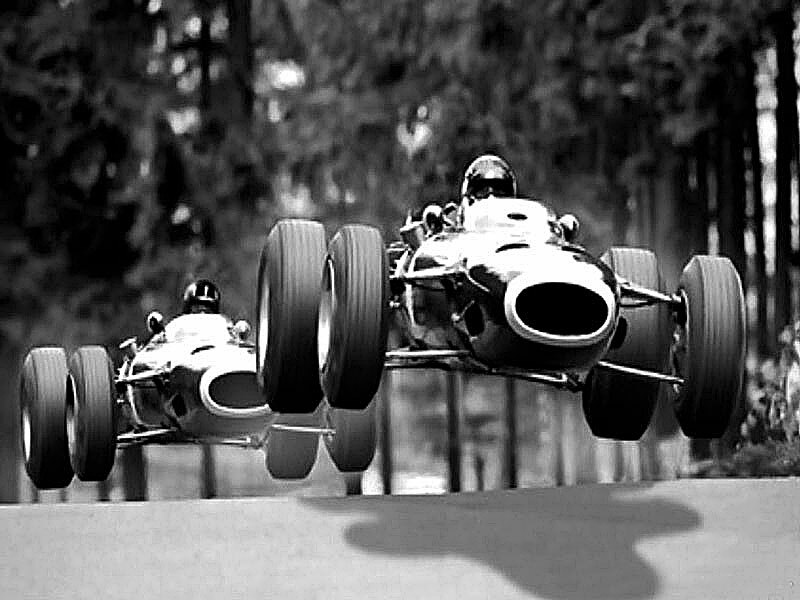 In this next photo we see Jackie Stewart and Graham Hill getting some serious air as they race against each other at the Nürburgring in 1965. 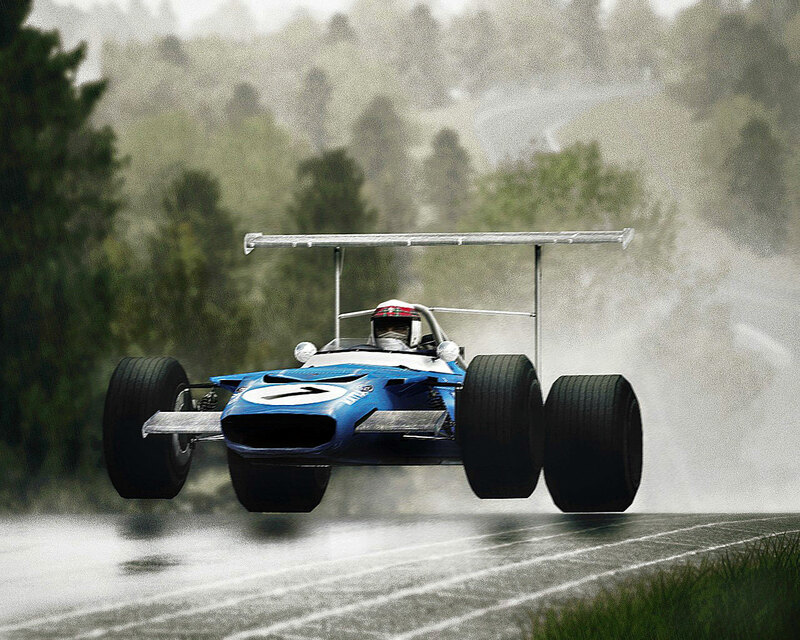 Jackie Stewart's nickname is The Flying Scotsman, and we see why in this amazing racing photo. 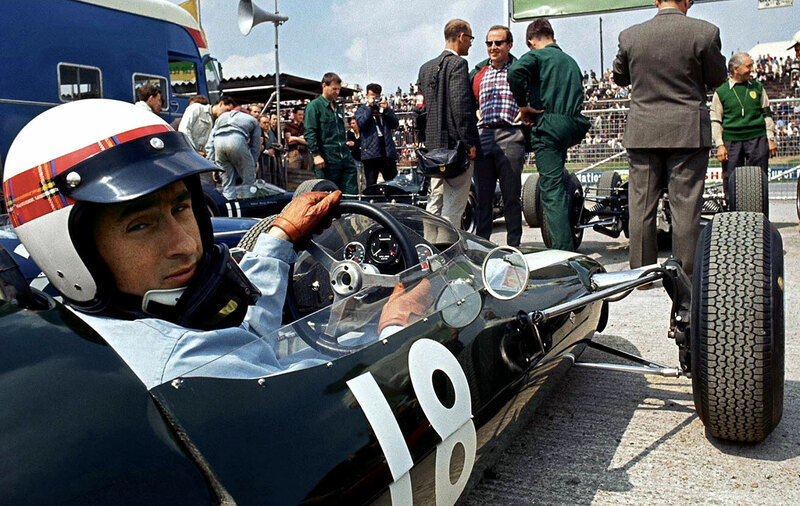 Sir Jackie Stewart began his racing career struggling to win races and in May 1966 he won the Indianapolis 500. 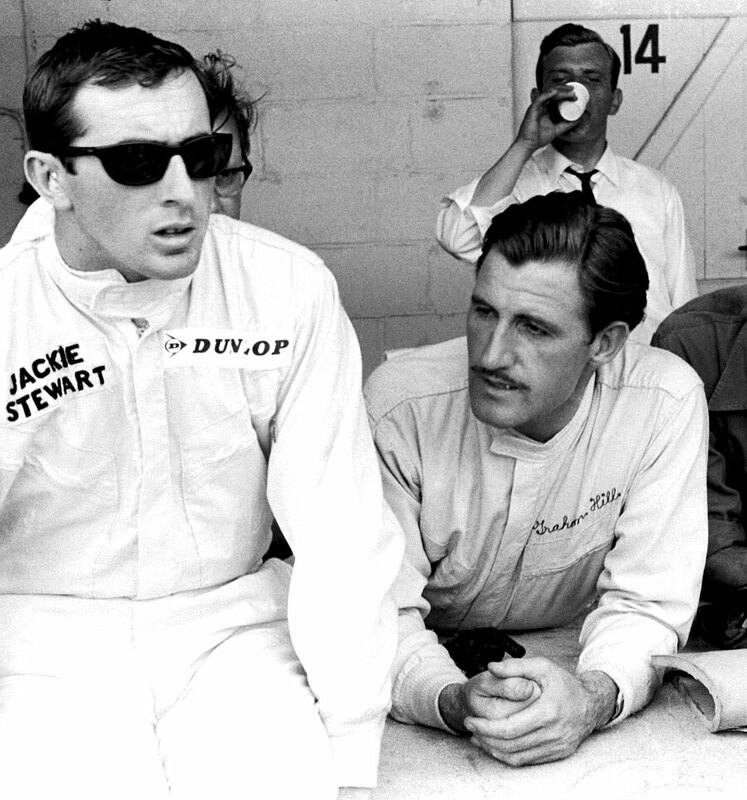 Jackie Stewart is pictured below in 1967 at the Indianapolis Grand Prix banquet with fellow legendary superstar Formula 1 drivers, Mario Andretti (white jacket) and with Graham Hill (mustache) along with Sid Collins. Sid Collins was the voice known as The Voice of The Indianapolis 500 from 1952 to 1978, and made famous the saying The Greatest Spectacle In Racing! 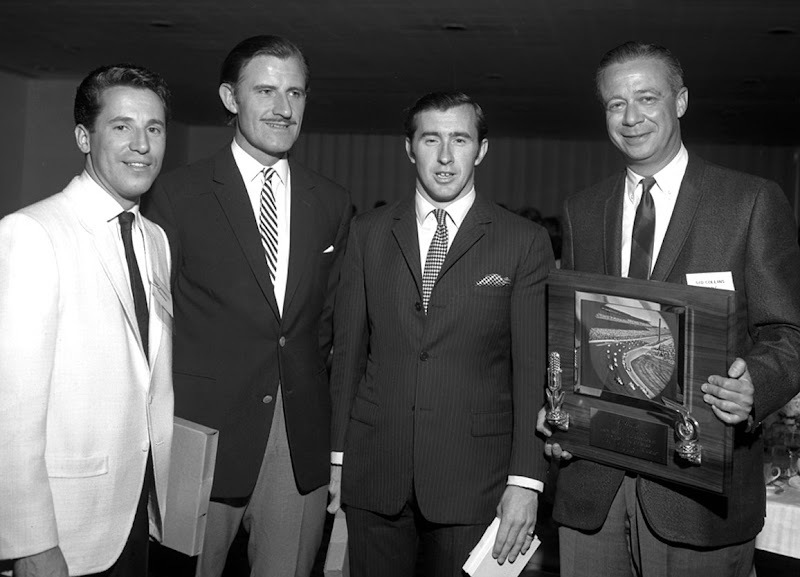 Sid Collins was presenting the three drivers with an award in 1967 for their winning participation in the 1966 Indianapolis 500. 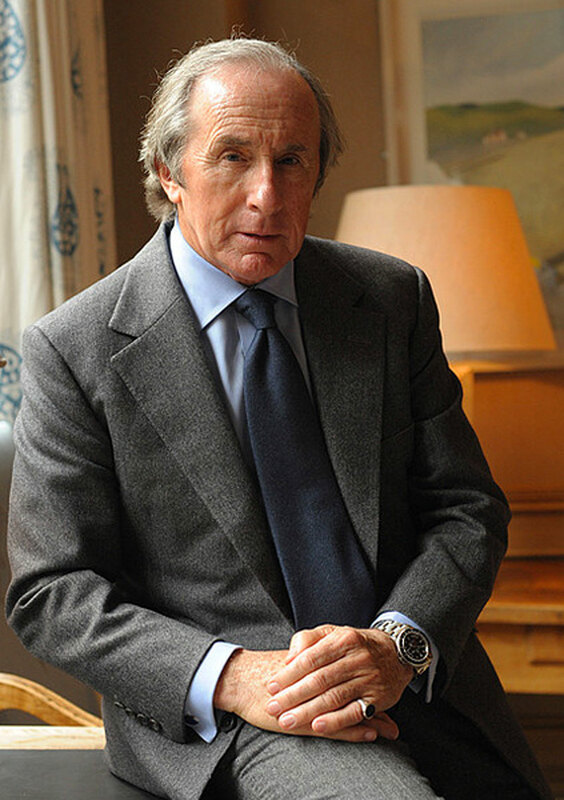 Sir Jackie Stewart purchased his first Rolex, which was a yellow-gold Day-Date in May of 1966 in Texas just after he won the Indianapolis 500. 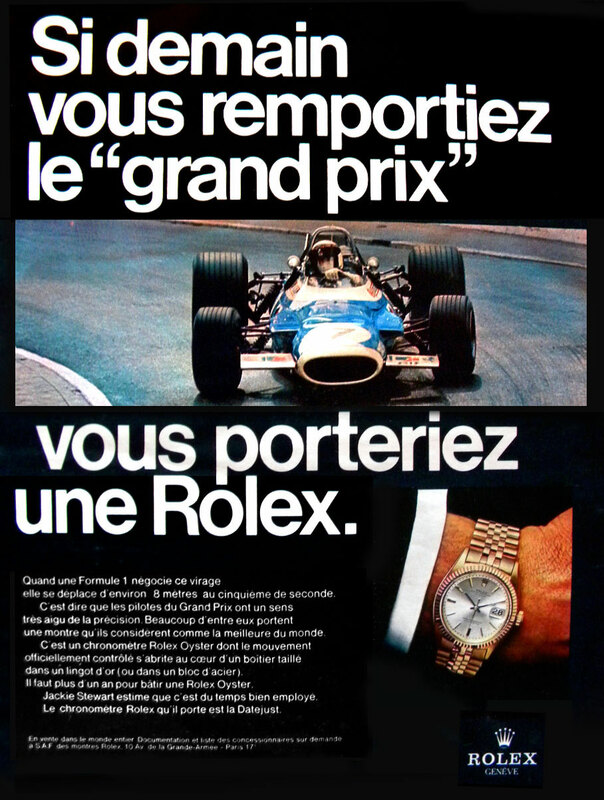 He became a Rolex Ambassador in in 1968 when Andre Heiniger, the Director of Rolex asked if Rolex could use his likeness in Rolex ads. 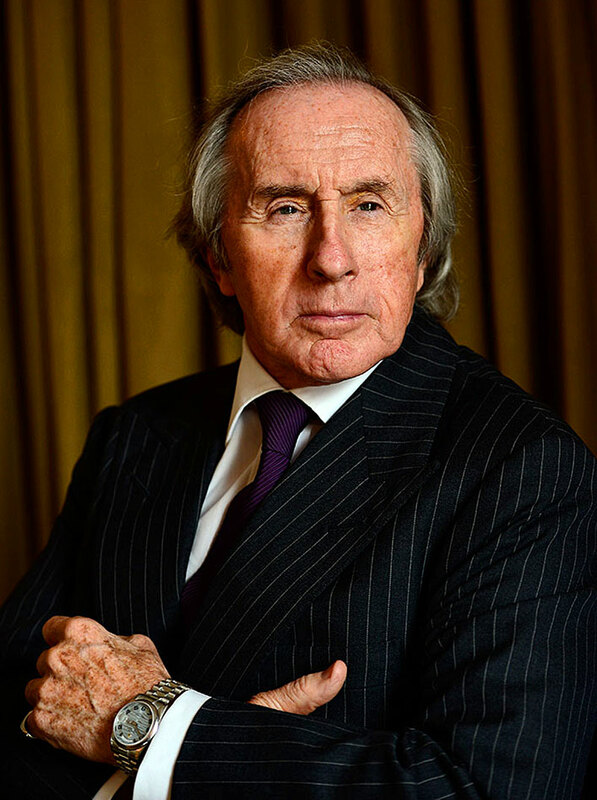 Andre Heiniger was an interesting director of Rolex who gravitated toward people who were never satisfied with maintaining the status quo–he appreciated men who were constantly trying to push the envelope, and Jackie Stewart was certainly such a man. 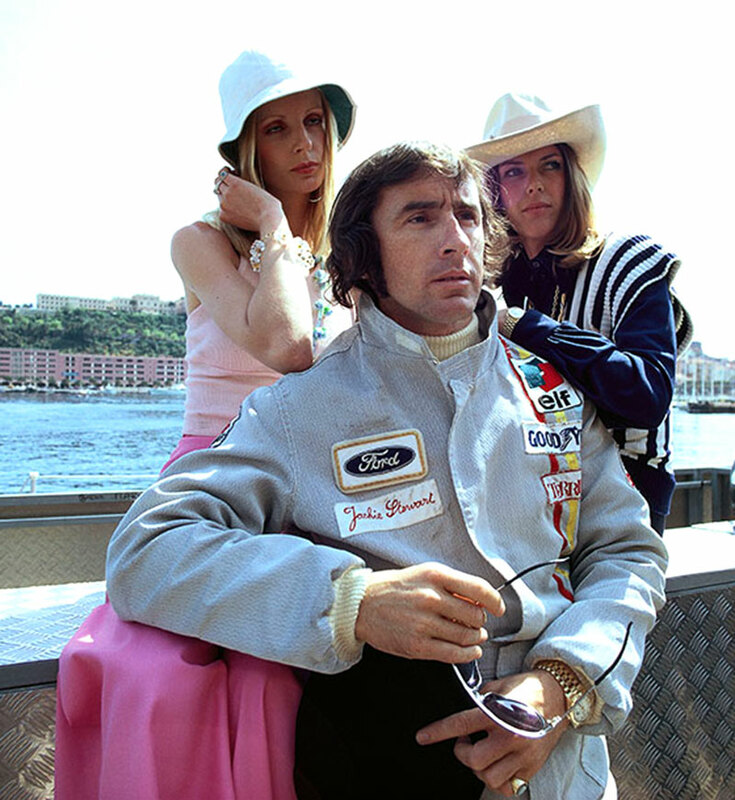 Jackie Stewart was once asked how Andre Heiniger discovered that Jackie wore a Rolex, and Jackie said he had no idea. 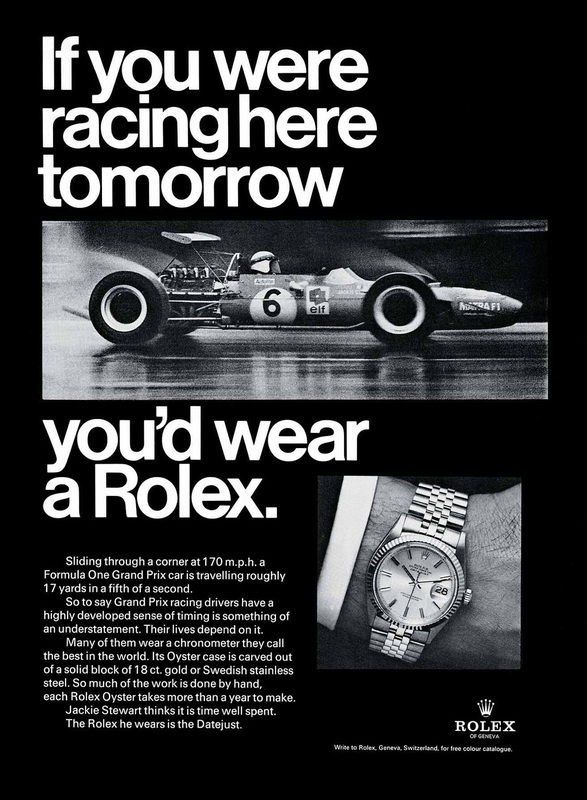 The next four Rolex ads were published in 1968 and feature Jackie Stewart. 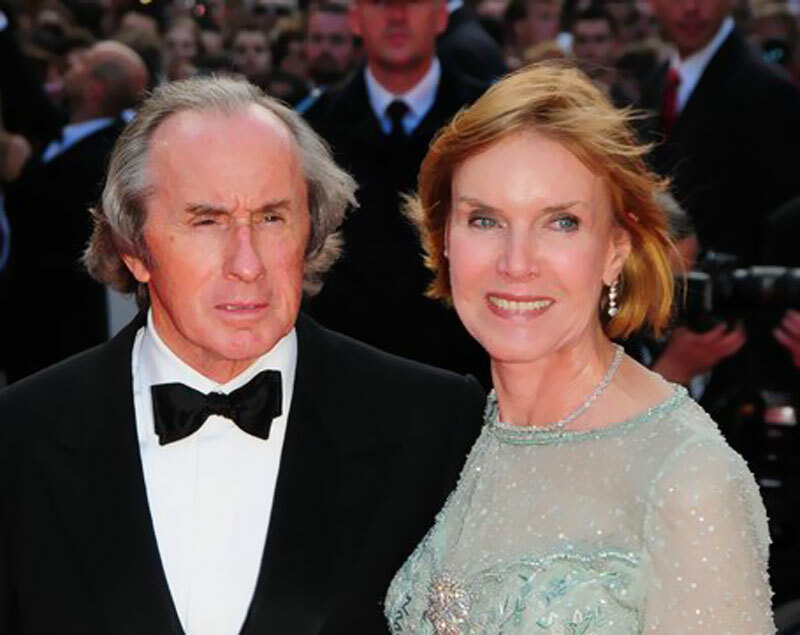 Jackie Stewart is picture above and below with his wife Helen Stewart and high school sweetheart which he married in 1962, and they remain happily married to this day. 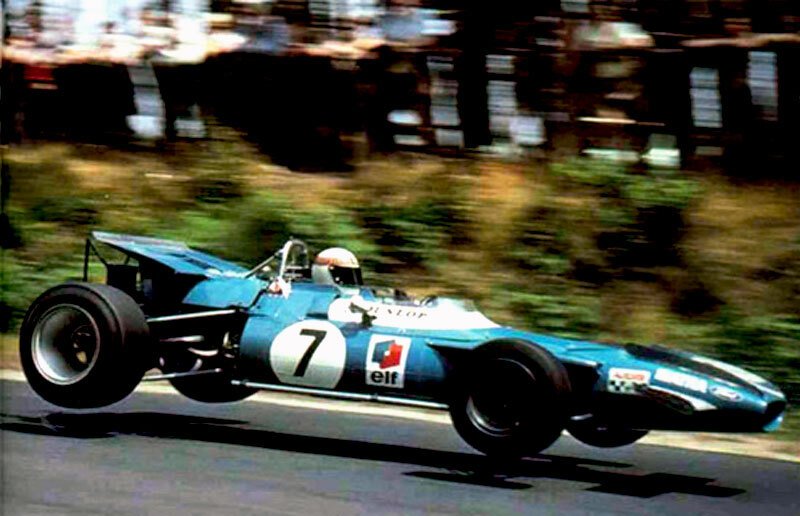 As I mentioned earlier in the story, Jackie Stewart gained the nickname of The Flying Scotsman and you see from the photo below why this was such a fitting nickname. 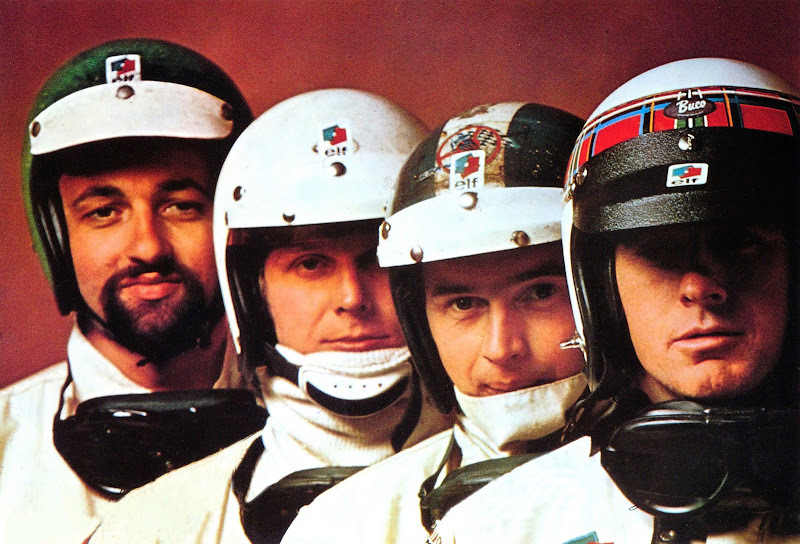 Jackie Stewart is pictured below in 1969 on the far right with his trademark tartan plaid helmet on the far right side. He is accompanied by fellow racing legends (from left to right) Henri Pescarolo, Johnny Servoz Gavin, and Jean-Pierre Beltoise. 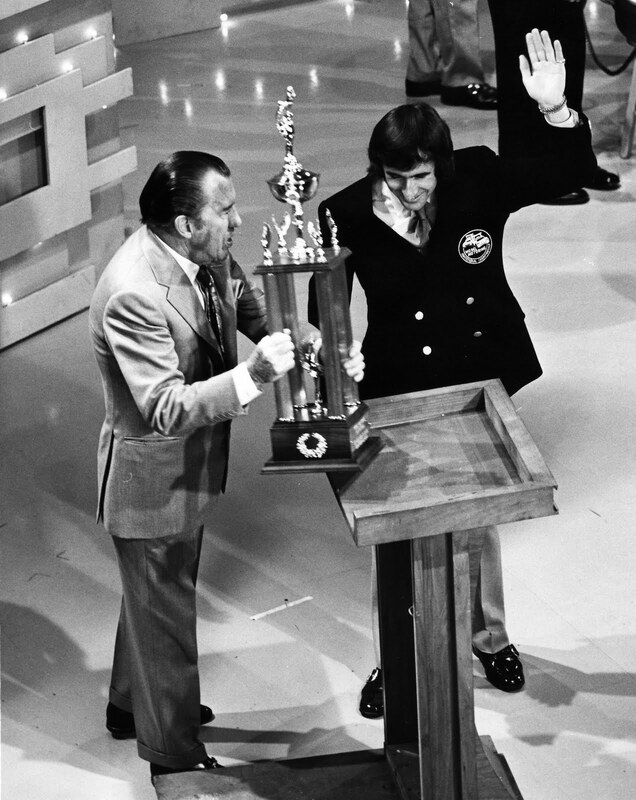 Jackie Stewart is pictured below with Ed Sullivan who was presenting him with an award trophy. 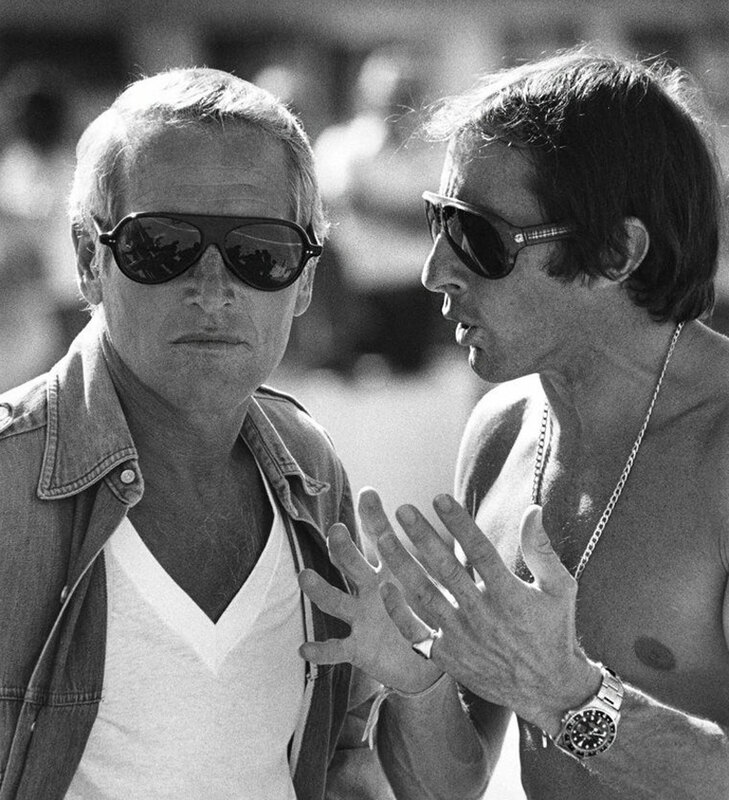 Jackie Stewart is pictured below with fellow race-car driver and Rolex Daytona wearer, Paul Newman. The photo was taken at Riverside Raceway in California. Riverside Raceway is where Paul Newman Filmed Winning in 1969. In 1988 Riverside International Raceway was converted to Riverside Mall. 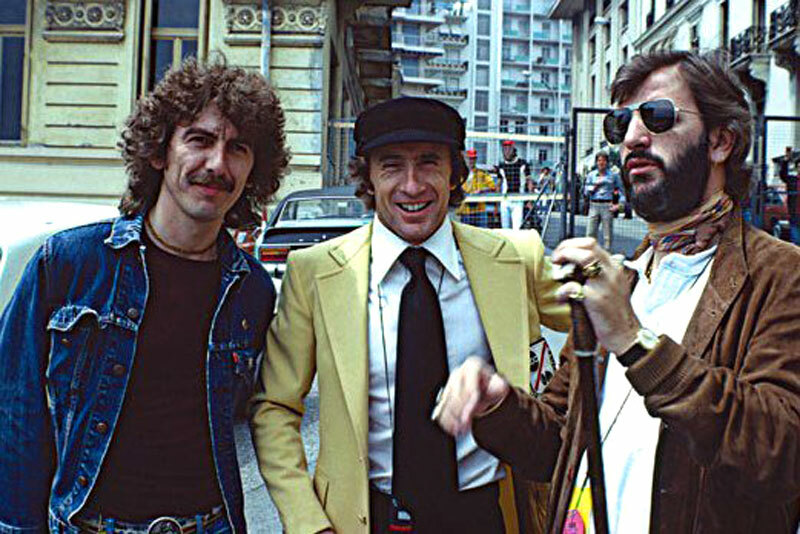 We see Jackie Stewart pictured below hanging out with George Harrison and Ringo Star who were both members of The Beatles. 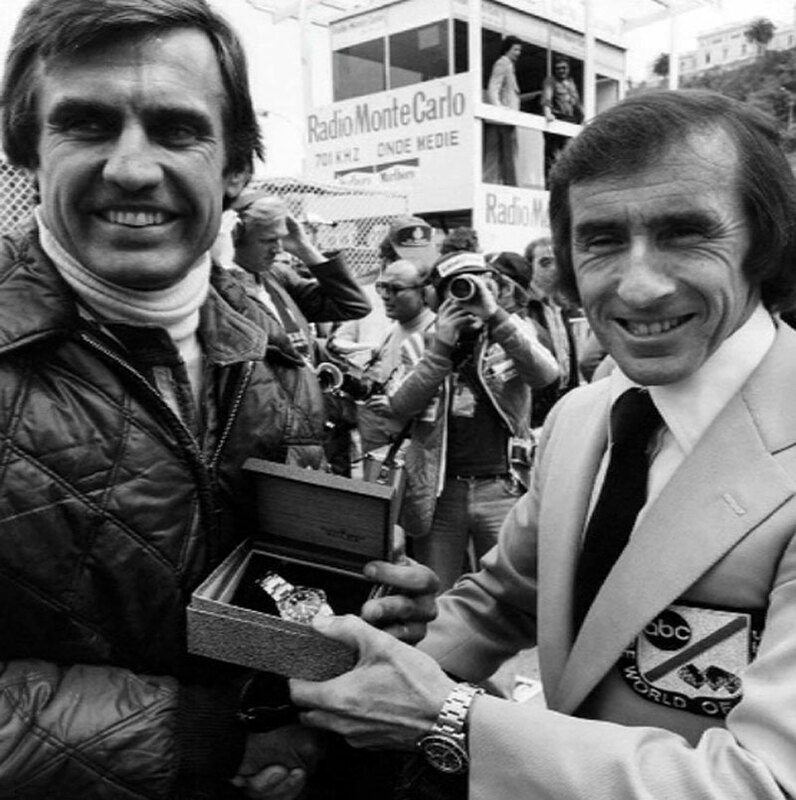 Jackie Stewart was a sports commentator during the 1970s on ABC's Wide World Of Sport and we see him below at the the Monaco Grand Prix, giving Argentinian Formula 1 racing legend, Carlos Alberto Reutemann a Rolex GMT Master wrist watch. American's loved his Scottish accent and colorful personality as a sports commentator. 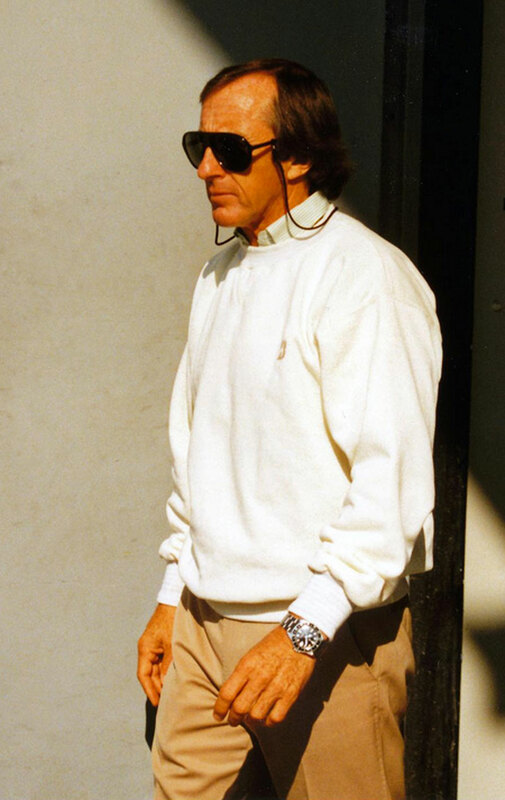 Jackie Stewart is pictured below in 1991 sporting an espresso GMT Master. 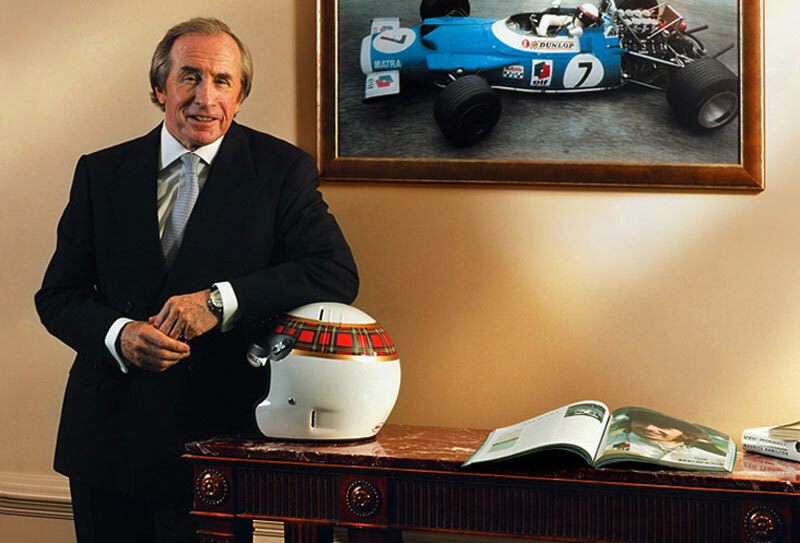 After Jackie Stewart retired from his racing career, and commentator career, he pursued a successful career in building his own racing team. 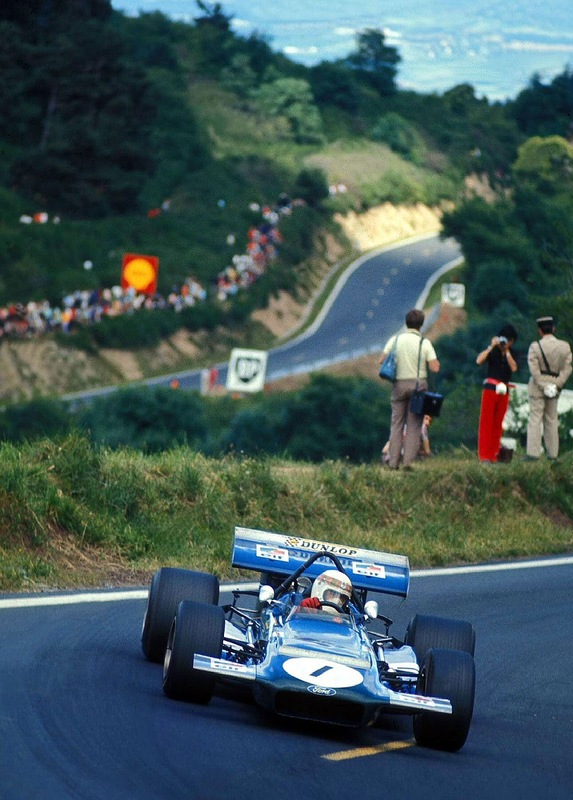 To this day, Jackie Stewart remains extremely active and travels an average of 300,000 miles a year! 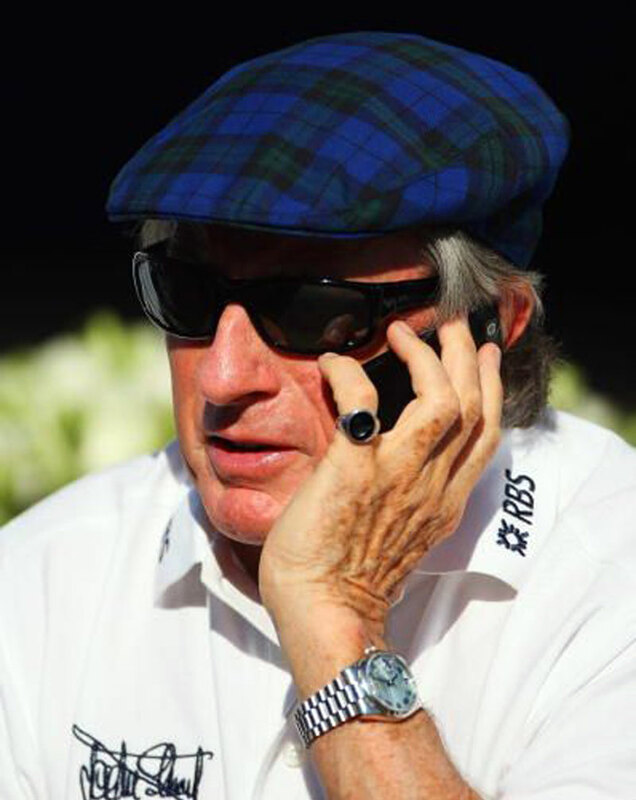 Jackie Stewart is pictured above and below in photos taken decades apart sporing his trademark cap and sunglass look. Jackie and Helen Stewart have been happily married for 49 years and we see them pictured below in a recent photo. 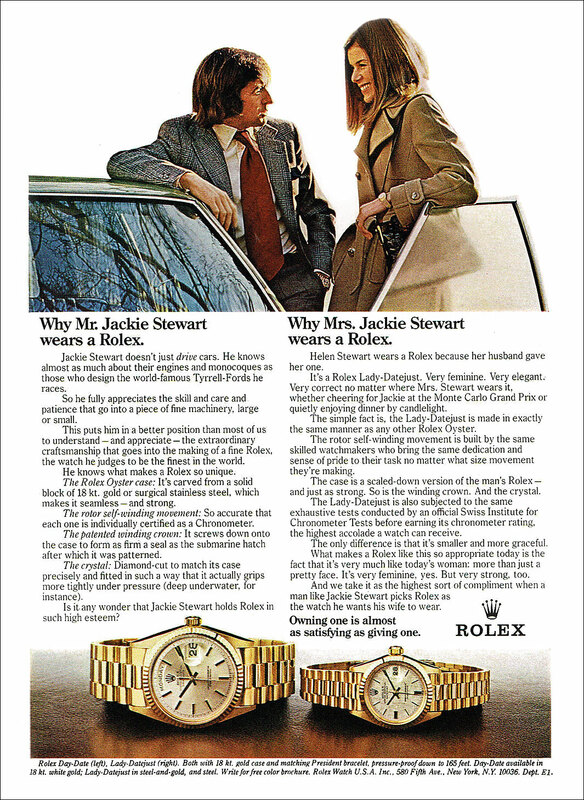 Helen appears with Jackie in the third 1968 Rolex ad earlier in this story. 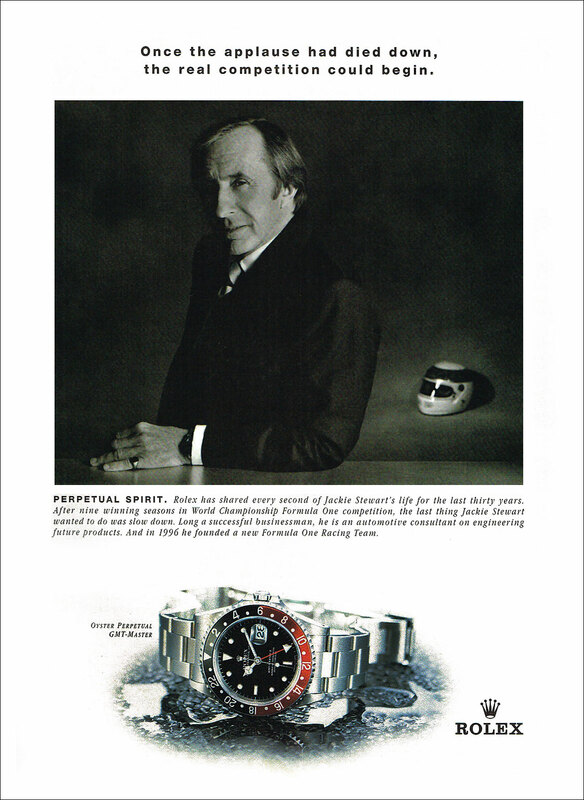 Below we see a 1998 Rolex Magazine Ad featuring Sir Jackie Stewart. 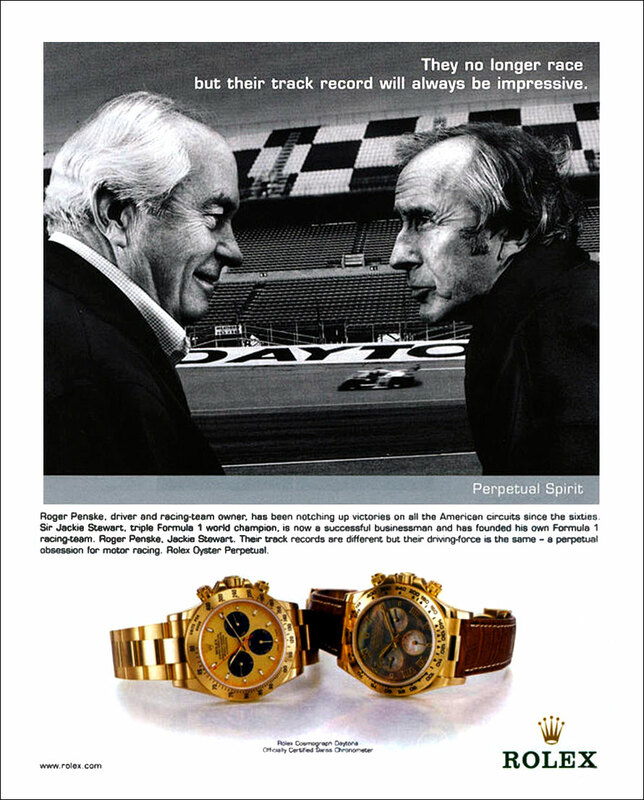 Below we see a Rolex Magazine Ad featuring Sir Jackie Stewart with fellow racing legend, Roger Penske. 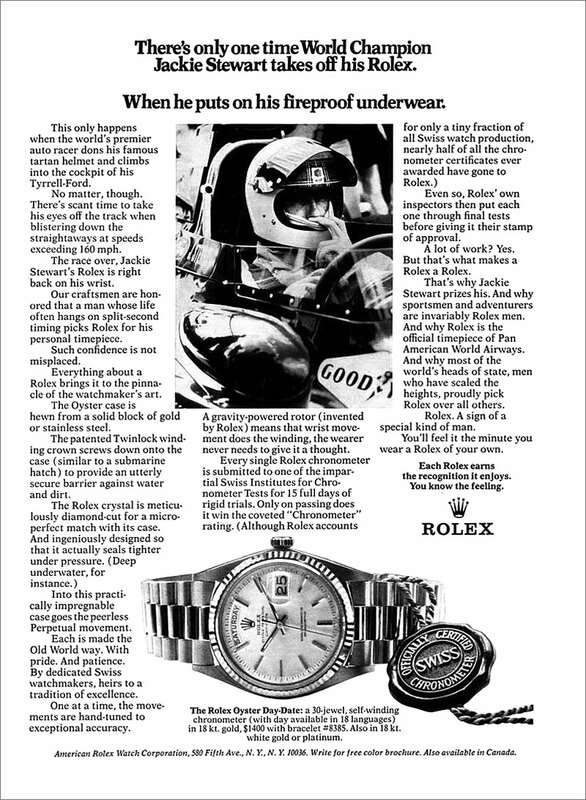 Sir Jackie Stewart, Arnold Palmer and Jean-Claude Killy are all sports legends and in this vintage Rolex ad we see them all celebrating their long-stanind relationship as Rolex Ambassadors in this recent Rolex magazine ad. 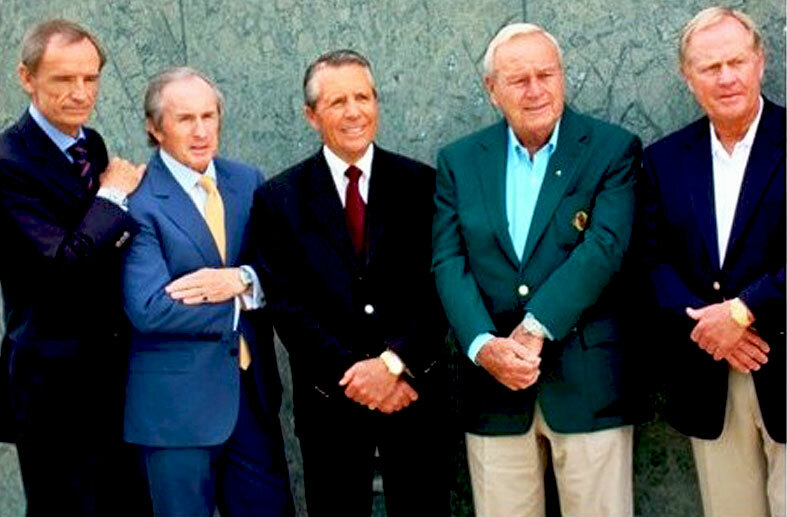 On July 23, 2007, five of Rolex' greatest sporting legends got together at Rolex headquarters in Geneva, Switzerland. Pictured above from left to right, 3 time gold medal olympic skier, Jean-Claude Killy; Racing legend, Sir. Jackie Stewart; Golfing legends, Gary Players, Arnold Palmer, and Jack Nicklaus. 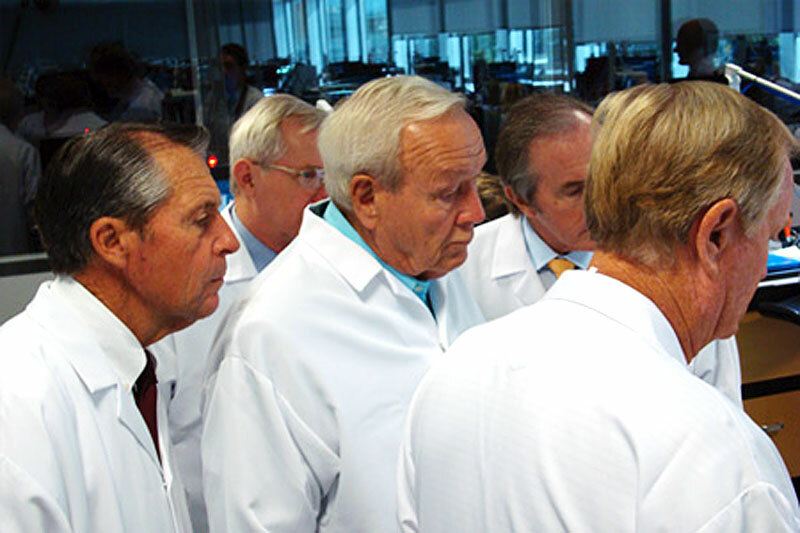 The Big Three (Jack Nicklaus, Arnold Palmer and Gary Player) observe the laboratory at Rolex headquarters as new time pieces are created. In the photo below, we see from left to right, Arnold Palmer, Jack Nicklaus, and Sir Jackie Stewart. At the time they were taking a tour of Rolex, which years later, I was able to take and document in my story titled, "Inside Rolex. Exploring What Makes Rolex Tick. 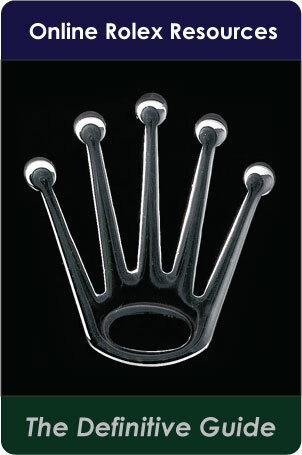 A Fascinating Look Inside Rolex." 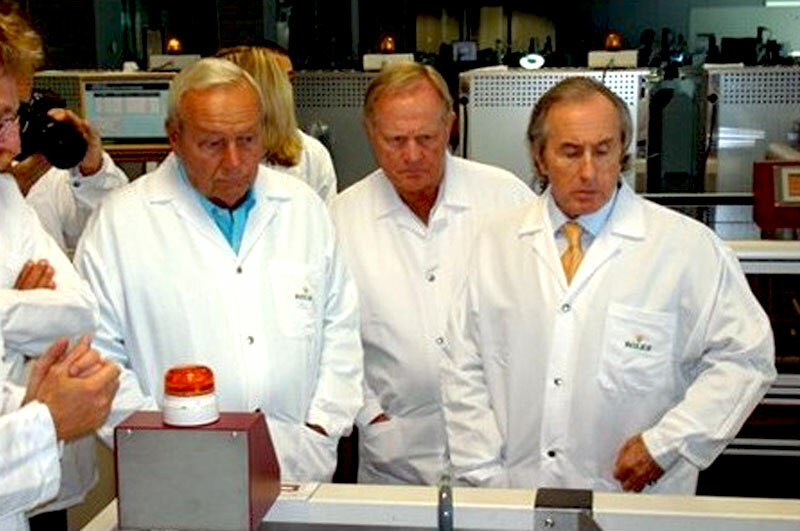 GENEVA, SWITZERLAND [July 23, 2007]: Golf's Big Three–Arnold Palmer, Gary Player and Jack Nicklaus–celebrated perhaps the longest on-going commercial relationship in sports this week with a two-day visit to the home of Rolex watches, where they were honored by the managing director of Rolex SA, Patrick Heiniger, and a select group of about 40 guests including Rolex board members and senior executives. 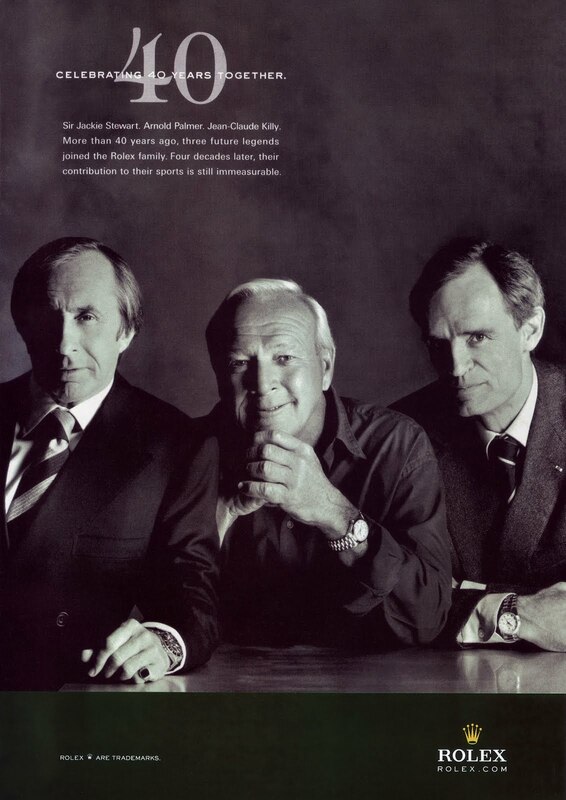 Palmer and the business manager for all three golfers, the late Mark McCormack, first met the late Andre Heiniger, Patrick's father and then Rolex's managing director, while on a business trip to Japan in 1961, and the relationships grew from there. Nicklaus and Player were presented with Rolex watches to mark their U.S. Open victories in 1962 and 1965, respectively, and Palmer became Rolex's first golf ambassador in 1967. 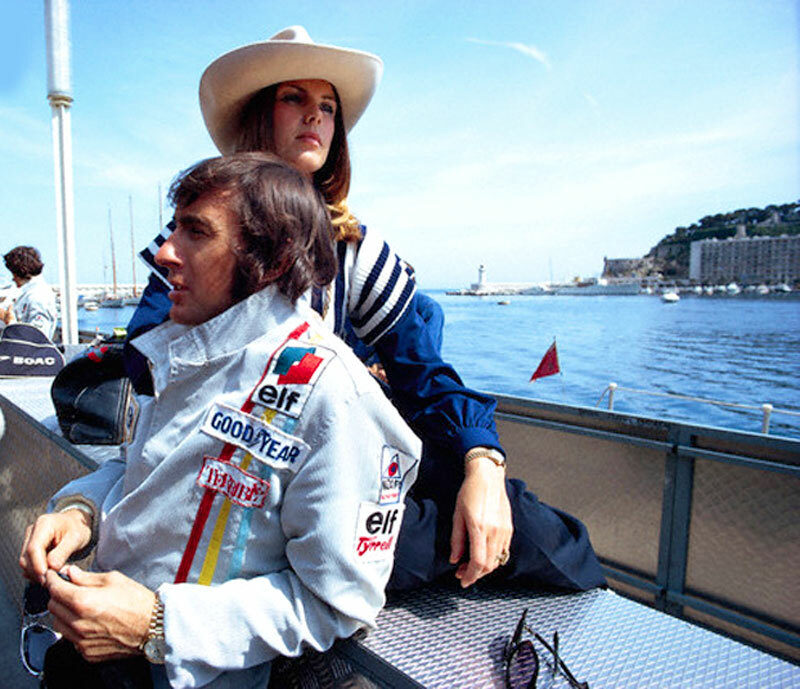 Joining the Big Three were their wives and two other world-class sportsmen and Rolex ambassadors from the same era, the Grand Prix racing champion Sir Jackie Stewart and the Olympic and World Cup champion skier Jean-Claude Killy. They were all presented gold Rolex GMT Master II watches to mark the occasion. There was an informal welcoming dinner on the evening of their arrival. The next morning they were given a tour and saw Rolex watches being made. "In 1960, Arnold gave new life to the British Open and made it a championship never to be missed by the best players. 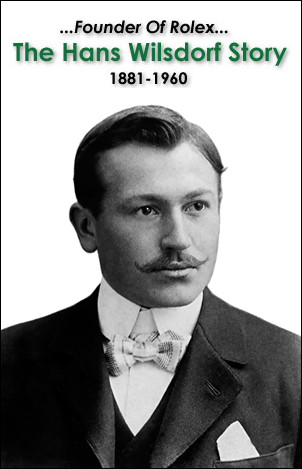 As a result he created the modern Grand Slam. "In 1965, Gary overcame all odds to be the third golfer ever, and the first of his generation, to win all four of the major golf championships in his career. "In 1986, Jack proved that he was indeed the golfer of the century, winning the Masters at 46 years of age, to increase his total to 18 majors, five more than the great Bobby Jones." 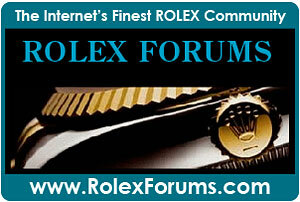 Heiniger continued: "Like you, we at Rolex honor excellence and achievement. We equally honor the humor and the humanity that all of you radiate. It is thanks to that magical mix that we are here together so many years down the road. "What we share transcends our association through sport and is rooted in the timeless values that each one of you celebrates in your daily life, be it through your philanthropic work, your business activities, your passions, your hobbies." 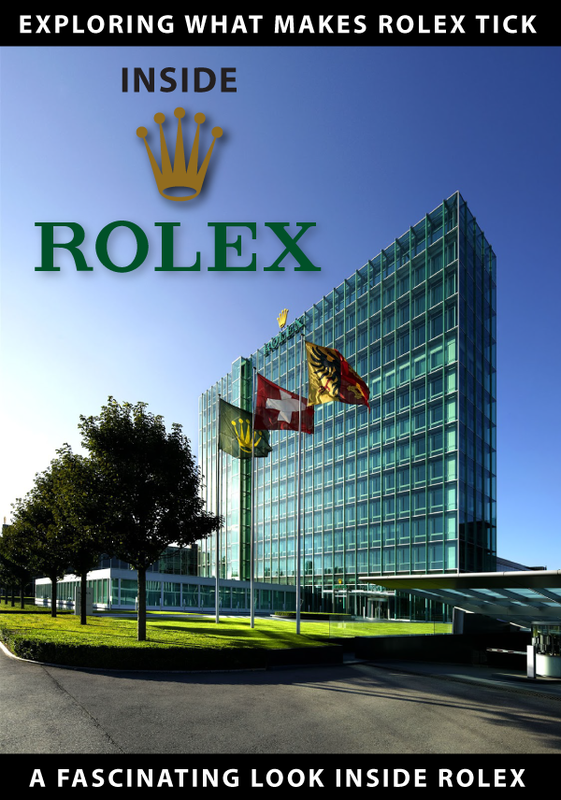 After the ceremony there was luncheon in Rolex's executive dining room for all attending, and that the tour of the Rolex facilities was continued. In the evening, Heiniger entertained the Big Three and their wives with a private dinner to conclude their visit. 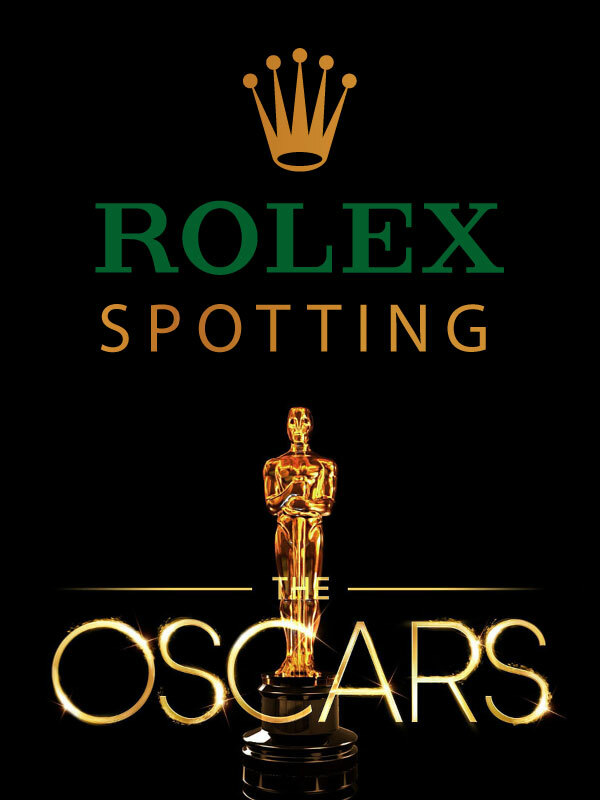 Founded in 1905, Rolex has been associated for exactly 80 years with "the pursuit of excellence in sports, the arts and exploration" - to quote from their corporate communications - starting with a young female swimmer from Brighton, England, in 1927, one year after the Rolex patented the first waterproof wristwatch. 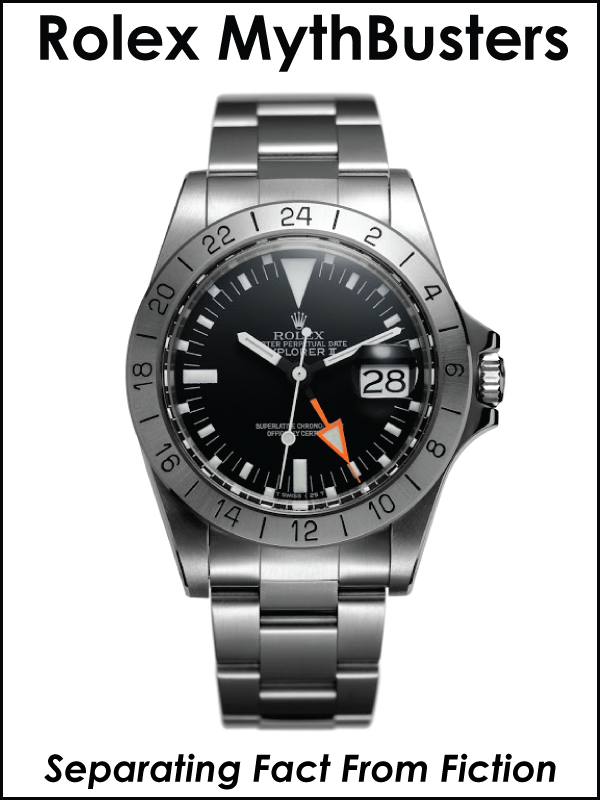 The swimmer's name was Mercedes Gleitze, and she was 27 years of age when she attempted crossing the English Channel armed with a Rolex Oyster. 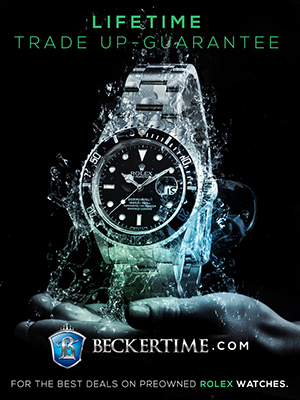 Hans Wilsdorf, the founder and managing director of Rolex, saw the promotional value that Gleitze could have, and her feat was duly recognized with a front-page advertisement in the Daily Mail. 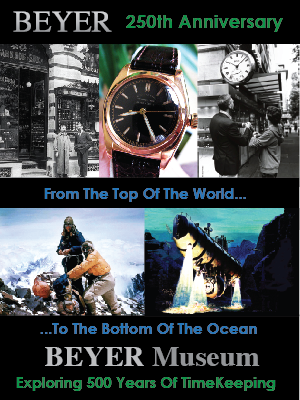 Rolex was also associated with Sir Edmond Hillary's 1953 conquest of Mount Everest. 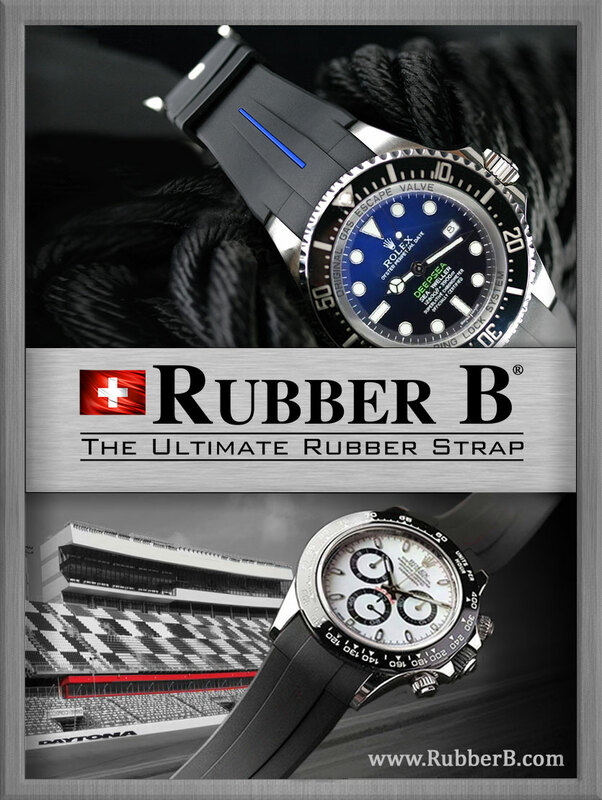 While other watch companies are connected with a few golfers, or have their name on a tournament, Rolex dominates the sport like no other sponsor in any product category. Its affiliations extend to all four major championships for men and for ladies, the Ryder Cup, Solheim Cup, Presidents Cup, European Tour, PGA of America, Rolex Rankings for ladies golf, LPGA Rolex Player of the Year and Rolex Rookie of the Year awards, and leading professional players including Phil Mickelson, Annika Sorenstam, Lorena Ochoa, Adam Scott, Retief Goosen and Luke Donald. 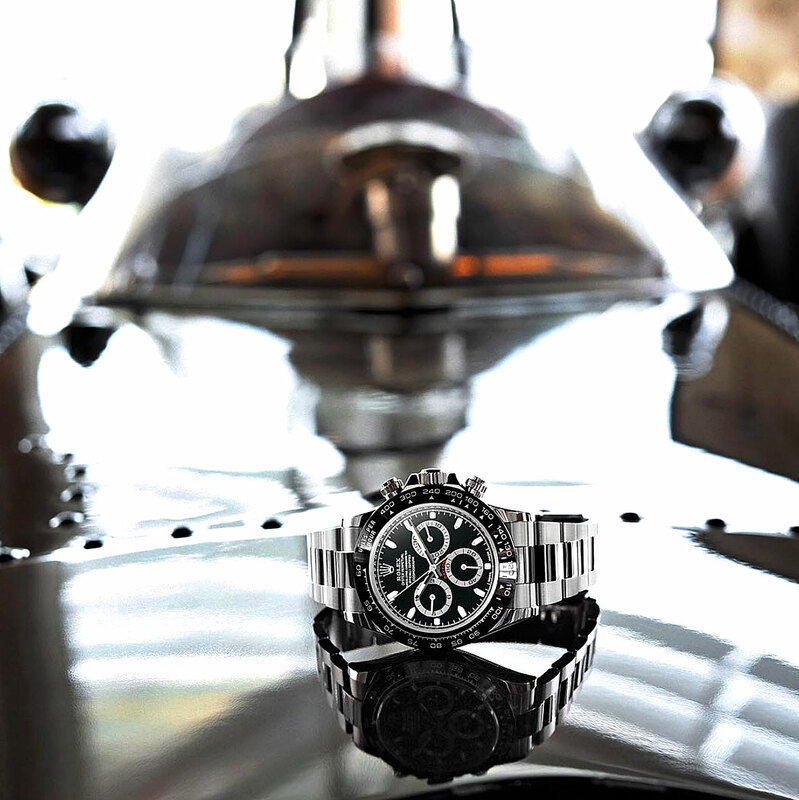 Rolex supports top sports and cultural events all over the world. It is present at more than 165 events in the realms of golf, yachting, tennis, equestrian events, motor sports, exploration, culture and the arts, as well as philanthropic awards programs, and Rolex's affiliates also support other local events. 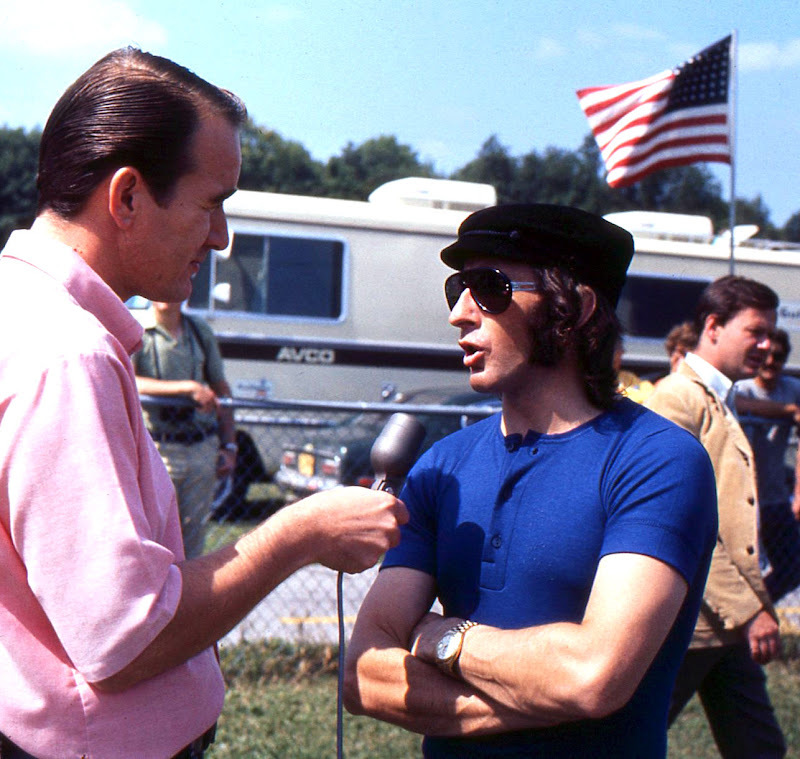 Speaking of legends, Sir Jackie Stewart is pictured below with fellow Formula 1 racing legend, Niki Luada. 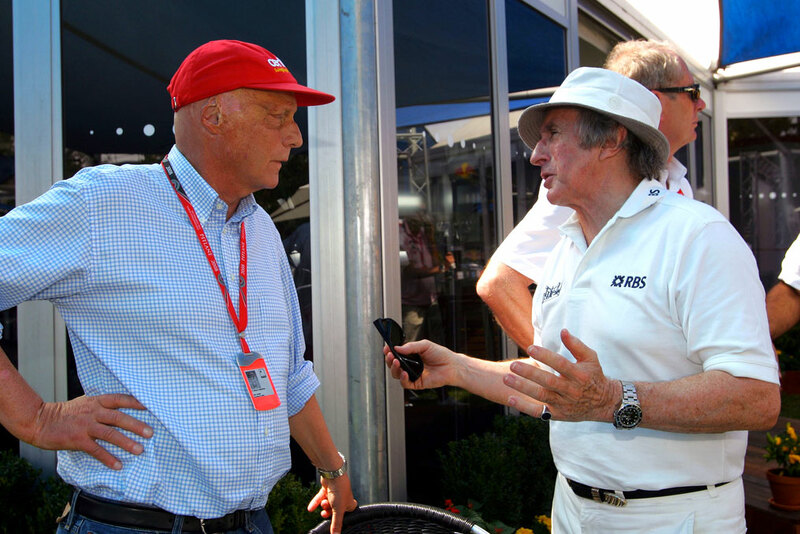 Niki Lauda is known as The Miracle Man, and if you look closely at this photo, you will notice both Niki Lauda and Jackie Stewart are both wearing Rolex watches. 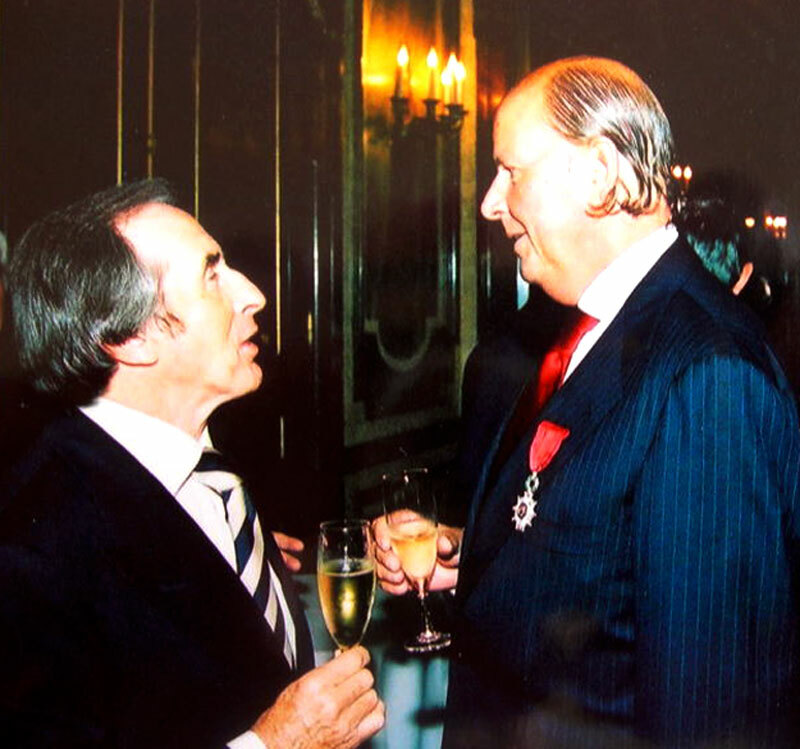 Jackie Stewart is pictured below with then Rolex CEO, Patrick Heiniger at a reception in 2002 after Heiniger was awarded The Knight of the Legion of Honour by the French Government. 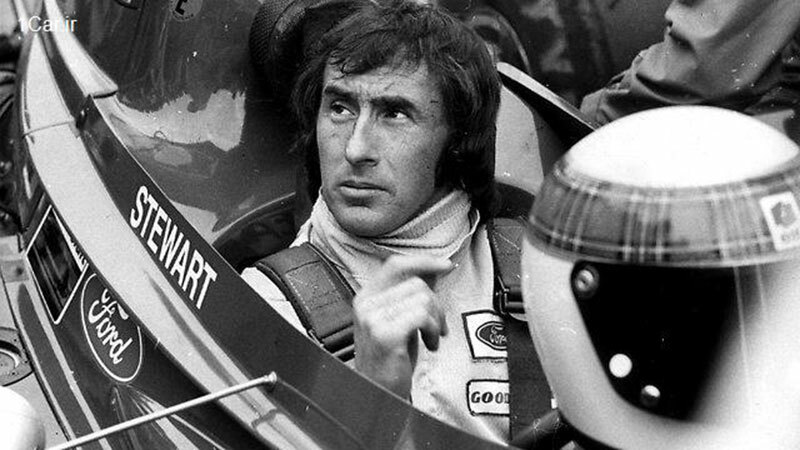 Sir Jackie Stewart is pictured below in 2009 racing at the Goodwood Festival Of Speed. 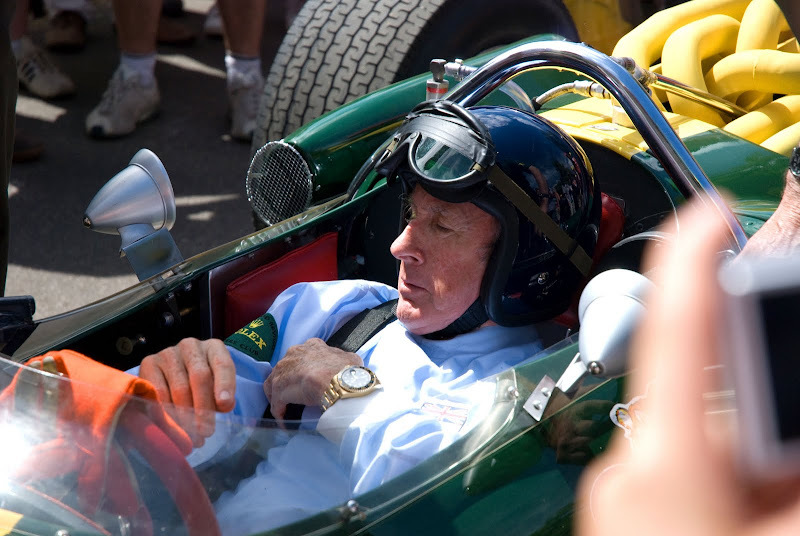 As far as I know, Jackie Stewart is the longest running Rolex Ambassador and he has enjoyed an amazing career–with Rolex keeping the time of his life. 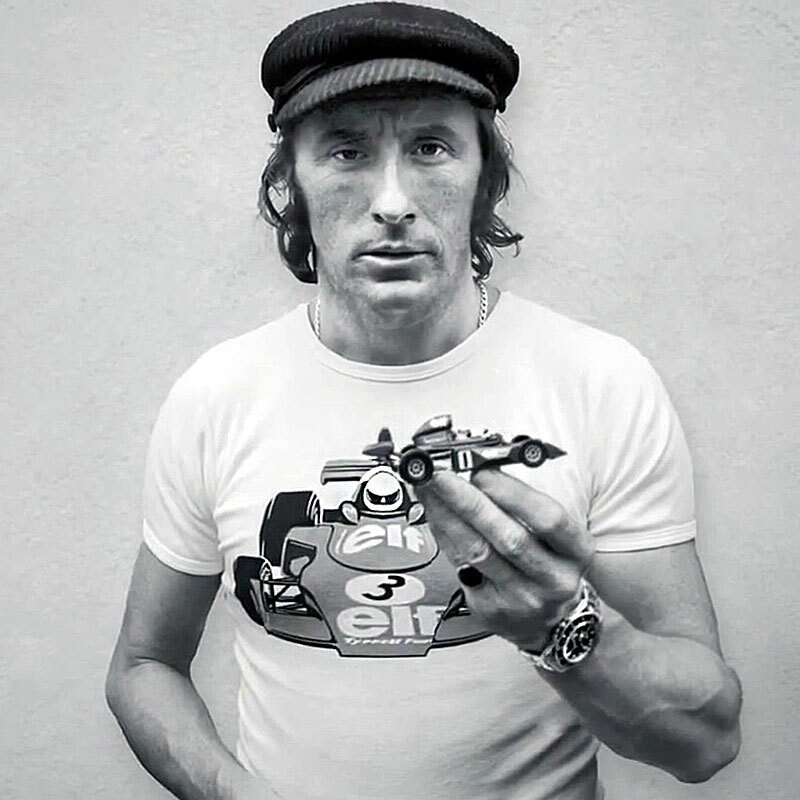 This next video interview of Jackie Stewart appears courtesy of Quill & Pad, and Sir Jackie talks about his history with Rolex last at Pebble Beach recently.